While we love Lush for their bath bombs and bubble bars and exciting seasonal ranges, there's been an under-the-radar product that should be in everyone's shower that's just recently gone viral, selling 12,000 in just two days. Enter the humble Lush Shampoo Bar. Yes, it doesn't look like much and the idea of switching from traditional shampoo to what is effectively a bar of hair soap may seem daunting but being a huge fan of Lush shampoo bars for the past 3 years I thought I'd share why you too should get on the viral train - to both save money and the planet! PS. They're also better than a lot of shampoos I've tried! Available both in-store and online (with exclusive scents) for £7.50 each (the price of around 2 average priced bottles of shampoos) the mighty but small Lush Shampoo Bar will last 80 hair washes or more... and when you are finished there's nothing to throw in the bin! 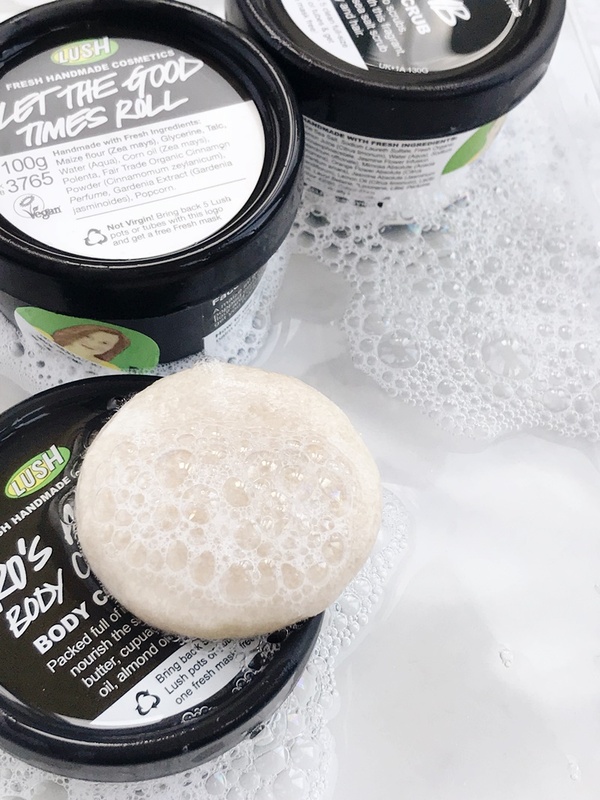 While I'm not overly 'green' I do like to recycle and not create excess waste so I was shocked to hear we throw out 552 million shampoo bottles a year, a lot of which can end up in landfill, according to Lush. So while I love using Lush shampoo bars, Honey I Wash My Hair is my favourite, I think it's time I finally let go of buying bottles of shampoo and make a pledge to be greener when I can. 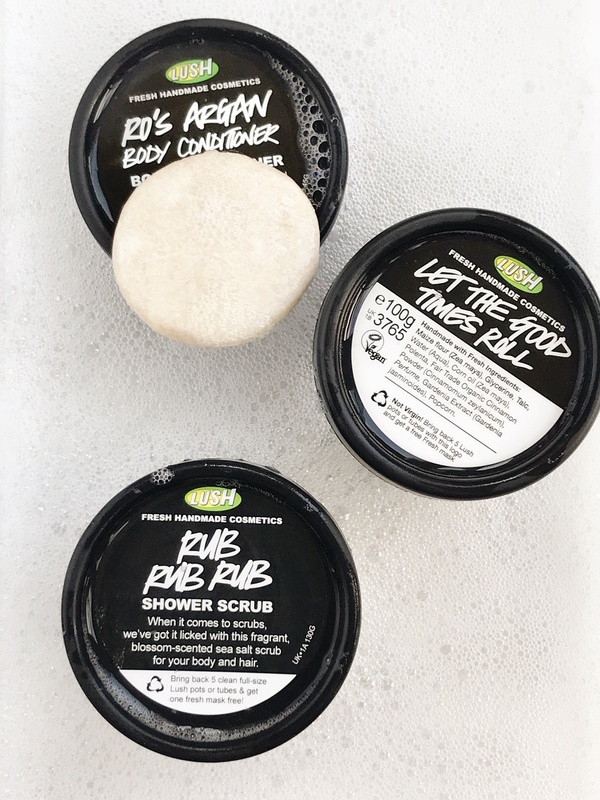 While Lush may be a favourite of many I think a lot of their solid products (massage bars, shampoo bars, solid deodorant, solid shower gel) are avoided due to a worry that they simply might not be as good as traditional products or harder to use. And while I can't speak for solid deodorant, I can say both Lush solid shampoos and shower gels perform just as well as their bottled counterparts, creating a wonderful lather when rubbed between the hands and cleanse well. With 7 different shampoo bars to choose from in-store for all different haircare needs (see below) I really think of the range now as a shampoo line rather than an alternative to shampoo. This is due to using Lush Shampoo Bars for years now and finding them possibly easier to use than traditional shampoo. Let me explain! You see, for one there's no cap flipping or bottle top unscrewing with wet hands, just a compact bar that sit with your traditional soap on the side of the bath or in a shower caddy. It also means a lot less clutter in your shower with plastic bottle (I'm hoping one day Lush will come out with a hair conditioning bar if I'm honest) and if you are one to travel it's as simple as popping your shampoo bar in one of Lush's round metal tins or wrapping it in cling film and then straight into your luggage with zero spill risk! It truly just makes sense and definitely shouldn't be seen a product that's less effective as traditional shampoo. Side note - They also work amazing well as solid makeup brush cleansers! As for how I like to use it, because there are two methods, I find rubbing the bar between wet palms to create a really good lather to work best for me. As I have long hair I need to do this twice but as I massage in the lather created it really does feel like any other shampoo and leaves my hair just as clean. Alternatively, you can rub the bar directly onto your hair, however, I think this is probably best suited to those with fairly short hair as anyone with long locks is just increasing knots by rubbing the shampoo bar around. Thanks to Lush's viral video that has made me aware of how many shampoo bottles are thrown away each year I will now be working my way through the rest of my shampoo bottle stash and then picking up Jason And The Argan Oil Shampoo Bar (because I love the smell!) next time I'm in Lush to exclusive start shampooing my hair with shampoo bars. 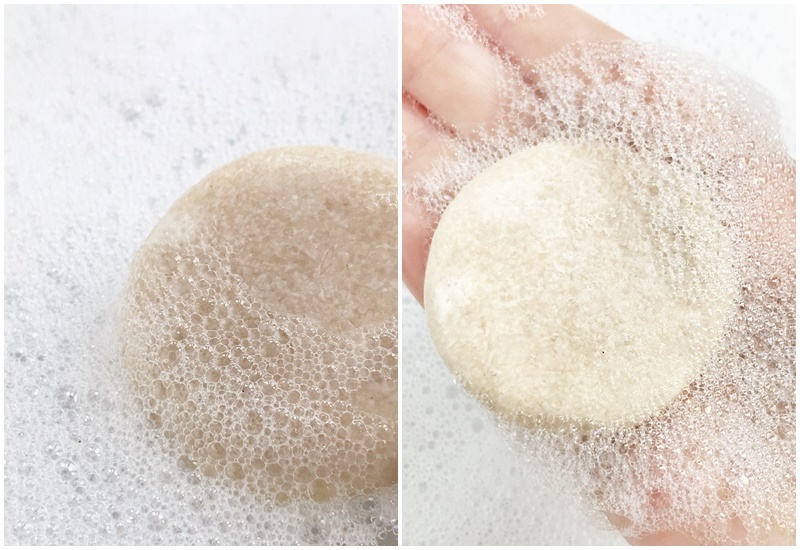 Have you ever tried a shampoo bar before? Let me know!